We know, going to the optometrist can be boring, I mean it’s not as bad as the dentist’s office, but we get it some people just don’t know how to have fun ;). But despite its boring exterior, the world of Eyewear and optometry are constantly changing and growing. 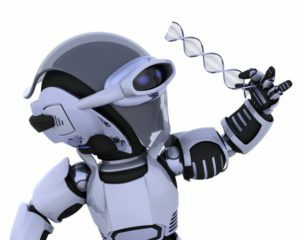 With new innovations happening all the time it would be almost impossible to keep track of them all, so here are just a couple new developments for you to get excited about! Have you ever thought to yourself “dang I would love to know exactly how many steps I take in a day, but fitbits are just so gauche, and I would need at least 4 different colors to go with all of my outfits!”? Well VSP has a new line of glasses that are perfect for you! The styles are a bit limited right now, but depending on the success of the base models, we could see more in the near(ish) future. Each frame features a magnetometer, an accelerometer and, a gyroscope that are installed into the left temple, there is also a battery in there! The battery has a lifespan of a few days, and there is a hidden charging port also located in the left temple (it’s all in the video below). What’s even cooler about these specs, is that whenever you hit the activity goals you have set for yourself, an eye exam is donated to an underprivileged group of your choice (Veterans, Children, Homeless). These glasses were expected to hit the market sometime in March, but unfortunately we have yet to see them. When they do release, the price point as of now seems to be pretty reasonable, which means these glasses will be accessible for most everyone! 2. 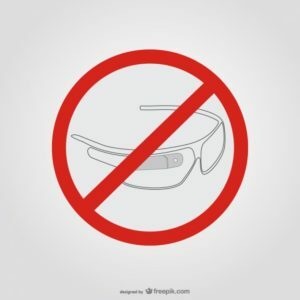 Smart Glasses, That look kind of cool…. We think? I am sure that most of you have heard of “Google Glass,” so you know that this isn’t a first, but smart glasses (like the ones in movies with HUDs etc.) are an inevitable product that will probably be within the realm of standard purchases within the next 5 to 10 years. While “Google Glass” was a bulky and overt accessory, Vue (a kickstarter funded manufacturer) glasses are sleek and stylish, offering seamless integration without a bulky camera attached to the front of your frames. These specs boast a plethora of features: touch controls (located on the temples), audio playback (through bone conduction, also in the temples), some visual alerts, a microphone for inbound/outbound calls, and activity tracking. There are a number of other features that are unlocked through integration between the glasses and an app on your smartphone. The frames are currently in the pre-order stage of manufacturing, and are offering two basic frame shapes, round and rectangle. 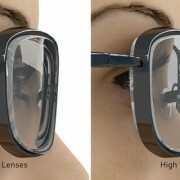 In addition they offer prescription, plano, polarized, and clear lenses as options. There seems to be a fair amount of anticipation surrounding this particular iteration of smart glasses, and they are regularly posting updates on their status for bringing the product to market. Yes I know, the idea of never having to wear a progressive again is probably something that is very VERY appealing to a substantial number of people, but this just seems too good to be true. Well thankfully it isn’t, there are multiple companies that have tried their hand at lenses that have adjustable focus. Most of those companies had a product that was very limited in prescription range, or style selection, and the ability to focus the lenses came from a manual slider adjustment. These lenses relied on a lipid layer (I know super specific and easy to understand…) over the top of the lenses. This lipid layer changed the focal point (or refractive state) of the lenses, allowing for variable focus in the lenses. A new company based out of Israel is currently taking a different approach. They are using an alternative method that has been successfully employed in cell phone camera lenses. The focusing agent, in these lenses, is liquid crystal (I know it sounds like something from a sci-fi movie) which is really cool. The crystal liquid is hooked up to a sensor that refracts the light into your eye at the proper point based on your prescription (as the distance between you and objects changes). Currently there is a latency between the change of distance and the change of the prescription, but the hope (I’m sure) is that by the time these glasses release that problem will have been eliminated. Thanks for checking out our list, we will be releasing a part 2 so if we missed something here be sure to keep an “eye” (;)) out for more articles on this subject! Astigmatism, it’s a word that you will hear often when people are talking about eye-wear corrections, but what exactly is it? Most of us are aware that it has something to do with the eye being misshapen, but in what way exactly? The best way to describe it is to compare the eye to something more familiar. A “perfect” cornea (the soft portion of the eye where light is focused onto the lense) is usually more spherical in shape, like a baseball, an astigmatic cornea (or eye) is more conical in shape, like a football. This causes light to be refracted unevenly onto the lens at the back of the eye, thus lowering the quality of your vision. Now that we have defined the basics of astigmatism, let’s take a closer look at the three primary types of astigmatism. First of all there is myopic (or nearsighted) Astigmatism, this is where the astigmatism causes nearsightedness. There is also an astigmatism that causes farsightedness, and mixed astigmatism. Which presents when the principal meridians (the steepest, and most flat parts of the eye) are both farsighted and nearsighted. There is one other kind of astigmatism, lenticular. This is not as common as the other types of astigmatism, because it is caused by a misshapen lens. After those classifications there are even more subcategories of astigmatism that are based off of the angles of the principal meridians. This may seem like mumbo jumbo at this point, but to doctors those angles have a substantial amount of importance, as irregular astigmatism is often indicative of an eye injury, or some other underlying eye condition. So why is all this important and how do we fix it? Well astigmatism is a particularly frustrating thing to have as it often can make objects at a distance blurry, as well as objects in close proximity to you. 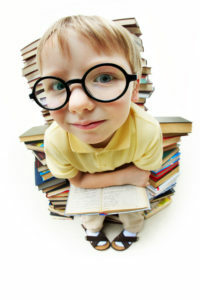 This of course can cause a great deal of frustration, and what’s more, most children are born with some form of astigmatism or another, and because most things are blurry for them, they can go years without indicating to someone that they are having visual difficulties. 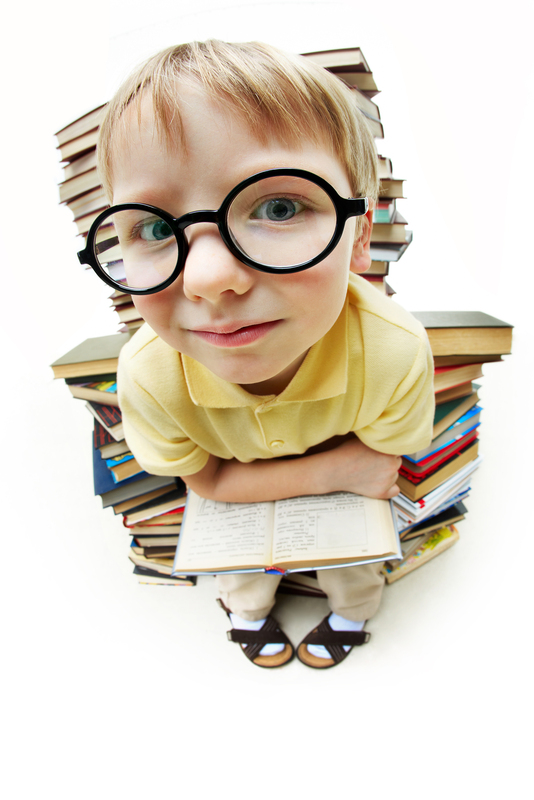 So it is important to have your child’s vision screened regularly. As far as correcting this is concerned, this is accomplished by adding (or removing if you are farsighted) power to the lens of your glasses. This power is often referred to as cylinder. The reason that this correction is marked differently is because this power is located at a specific “axis,” which is what allows it to refract light in the specific way that is most advantageous to your visual correction. The axis somewhat refers to the angle at which light is redirected through the cornea. This number between 0 and 180 plays an important role in the way that you see through your glasses, in that it directs light to a very specific area of the retina, which allows for your vision to be optimized. As you can see there is a lot that goes into diagnosing and correcting astigmatism, and there are numerous factors that change how it is corrected. But our hope is that with this new information you can better understand some of the numbers on your vision prescription! I Have Cataracts, Now What? As many of you are well aware, there are a number of changes that happen throughout our lives to our body. A number of these changes occur within the eye, whether it is a variation in the acuity of our sight, or simply a change in the ability of your eyes to focus, these changes are unavoidable. Optometrists and Ophthalmologists are well versed in these changes as they are the most common in the general populace and cause all of us frustration at some point. One of the most common changes is the development of Cataracts. Cataracts develop for a number of reasons, the most common being age related. If you are over the age of 60 it is very likely that cataracts have started to develop, and you could already be experiencing their effects on your vision. Other risk factors include (but are not limited to): infection, injury, diabetes, exposure to ultraviolet light, medications, and trauma. 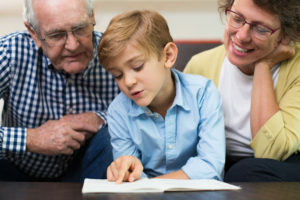 Some babies can even be born with cataracts, so it is important to be informed and monitor the eye health of both the young and the young at heart 😉 (part of why it’s so important to stay up to date with your annual eye exam!). So what exactly are cataracts you ask? While all the factors that contribute to the development of cataracts are unknown, the treatment options for cataracts are very successful! Cataracts develop when protein “deposits” form on the lens of your eye. 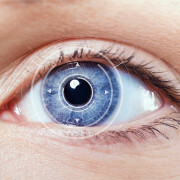 The lens of your eye is composed of transparent flexible tissue (like a jellyfish!) that is located at the “back” of the eye (behind the iris, pupil, and cornea), that helps to focus light on your retina. These deposits cause cloudy or foggy vision, double vision, problems with glare (especially at night while driving), and can even change the way you see color! With such a gambit of symptoms, it is important that you seek professional help from your eye care provider to provide an accurate diagnosis. The current treatment for cataracts is a very quick, painless, and effective outpatient procedure. During the procedure your eye will be dilated and cleaned, then the Ocular Surgeon will remove the lens in the affected eye, and replace it with a man-made lens (cool I know). This procedure has a very high success rate, and relatively few potential complications. After the surgery it is important to schedule follow up appointments with your eye care provider (we hope that’s us!) and to follow the instructions provided to you by the surgeon. There may be some limitations in what physical activities you can perform, such as heavy lifting and bending over, as a general rule anything that could increase the pressure in your eye and cause/aggravate inflammation. In most cases your eye will be fully healed within 8 weeks, but it is important that you have your eye health monitored regularly by a professional after that (and all the time if you ask me!). While it is unlikely that you can avoid cataracts forever, there are a number of risk factors that you can mitigate with some simple habits. 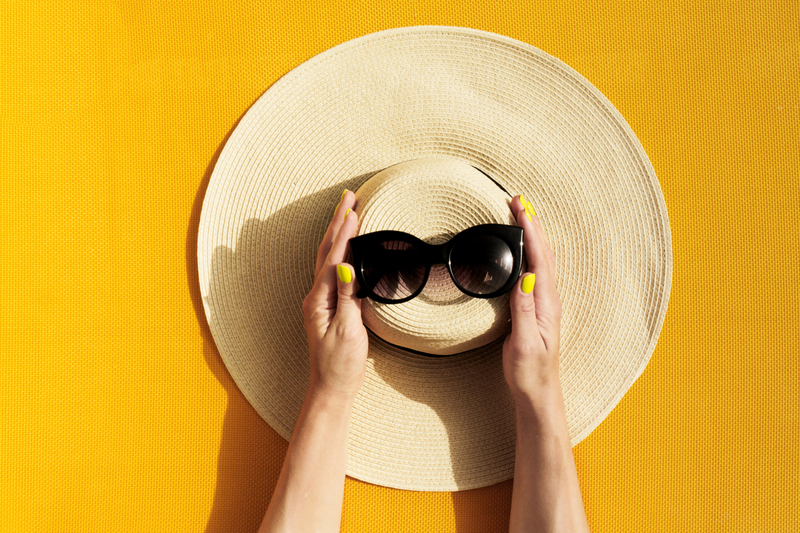 Wearing sunglasses and brimmed hats can help reduce the amount of ultraviolet light that damages your eye, and coincidentally can look super cool (especially if your sunglasses are from Eye-Q-Optometry). It is also important to protect your eyes from the ultra violet rays emitted by technological devices (tablets, phones, televisions etc.) by wearing glasses that have blue light reflecting coatings and not using your devices in the dark. You can also help prevent cataracts by eating healthier, research has found that eating leafy green vegetables, and fruits rich with antioxidants can help improve overall eye health and delay cataracts. Quitting smoking can also reduce your risk. Lastly, of course, it is important to stay up to date with your eye care provider on all aspects of your eye health, especially as you get older. 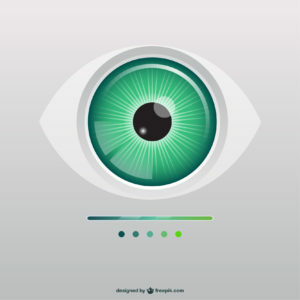 Close monitoring of your eye health (especially if you are diabetic) will almost always save you from vision loss due to medical eye conditions. If you have any other questions or are worried that you might be experiencing cataracts or any other vision difficulties don’t hesitate to contact us! Our contact information is listed at the end of this article, along with our sources. Thanks for reading! And as always have a great day! Why Does (almost) Everyone Need Reading Glasses as They Get Older? So I am sure that as a regular everyday person, you have noticed that age changes a lot of things. Whether it is your passion for Saturday morning cartoons, or that one indie-rap-noise band, age changes a lot about how you go about everyday life. As you age certain aspects of your vision are also prone to change, as a younger person these changes are usually gradual and (hopefully) minute. 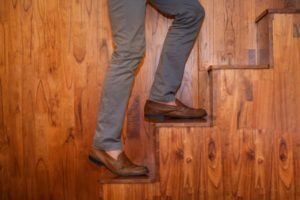 But as we get older, especially around the age of 40, it can seem that our vision takes a pretty steep dive. The reality is however, that around 40 most everybody begins to experience a loss of vision that is often classified as Presbyopia, which is a natural part of the human aging process. 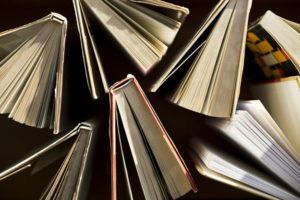 Presbyopia will show itself in many different ways, you might find that reading (especially cell phones and books with smaller print) has become more difficult, even with your regular prescription glasses. It was long thought that this was caused by an atrophy of the muscles that cause flexion of the eye and allow for focus. 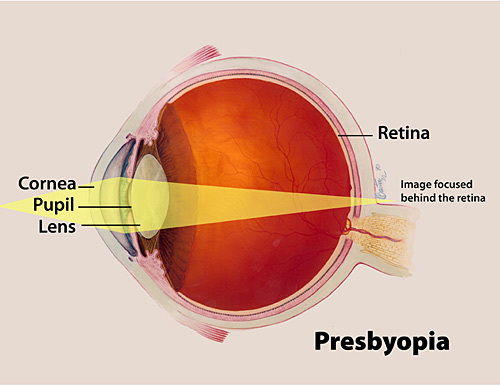 It is now understood that Presbyopia is in fact cause by a rigidity in the lens of your eye. This rigidity is caused by age and use of the lense over your lifespan. Now you are probably thinking, if I am nearsighted (myopic) shouldn’t I be able to focus on items that are close to me? Unfortunately there is almost not a single person who won’t at some point suffer from Presbyopia. It is an age related malady that really is more of a natural result of having lived rather than a disease of sorts. So what do you do about it? That is where your Eye Care Provider comes in, your Eye Care Provider is more than well enough equipped to help diagnose and solve many of the symptoms caused by Presbyopia. There are a number of options to pursue depending on your need(s). 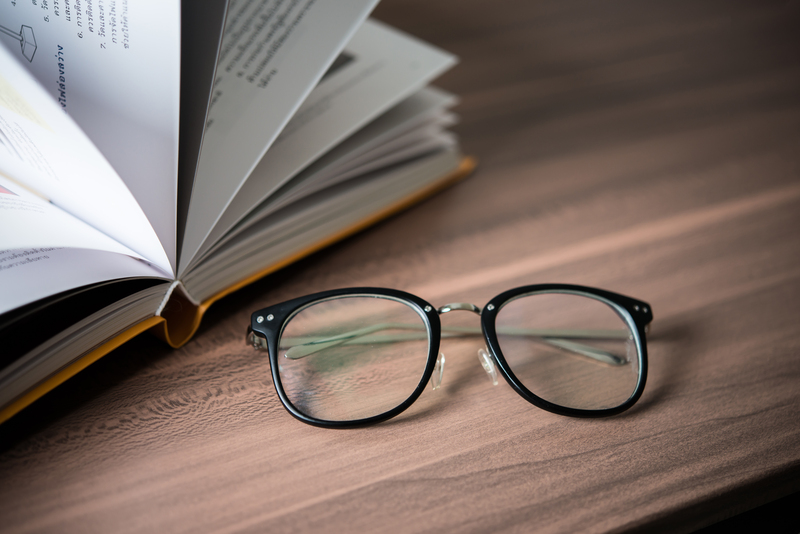 The first option is of course a magnifying lens that allows your eyes to focus at a more comfortable distance, these are commonly known as “readers” and sometimes (depending on your prescriptive needs) you could even purchase a pair at your local drugstore. If you have more specific visual needs, or want glasses that you can wear at all times, you could look into bifocal, trifocal, and progressive options (there are even “bifocal” contact lenses). Each one of these options comes with a substantial number of customization options. 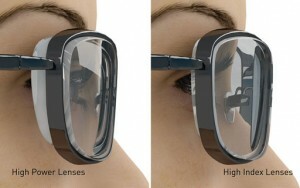 We often have people who want glasses with different focal ranges for doing multiple close-up detailed tasks. These “trade specific” progressives can help you do anything from use multiple computer screens at once, to building models and use the same pair of glasses to read the directions. 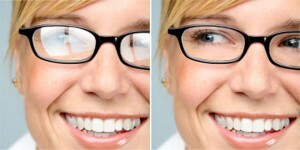 Your glasses can be made to fit almost whatever needs you have visually. It is always important to see your Eye Care Provider annually, not only to monitor eye health, but also to allow them to help keep the quality of vision as high as possible. You may be missing out on the best vision you could have and not even know it! So if you are finding that you are having difficulty focusing on near vision tasks, don’t panic it happens to all of us, schedule an exam with your Eye Care Provider and let them help you get the best vision possible! Cataracts are one of the leading causes of blindness in the United States if not treated. The longer cataracts are left untreated the more difficult it can be to successfully remove the cataract and restore vision. Cataracts are a clouding of the lens in the eye which prevents the passage of light into the eye. The lens helps focus images into the retina and vision may become blurry or dim because the cataract stopped the light from properly passing through. Cataract surgery is the safest and most effective of surgeries. The surgery replaces your lens with an artificial lens called an intraocular lens. Most symptoms don’t show until the age of 40, however even young people and children can be affected. You can prevent cataracts by reducing exposure to UV rays, wearing proper eye protection to avoid eye injury and regular checkups at the eye doctor. Schedule your appointment today to prevent blindness and treat cataracts. What is Hyperopia and what causes it? Hyperopia, also known as farsightedness, longsightedness or hypermetropia, is a defect of vision caused by an imperfection in the eye (often when the eyeball is too short or the lens cannot become round enough), causing difficulty focusing on near objects, and in extreme cases causing a sufferer to be unable to focus on objects at any distance. 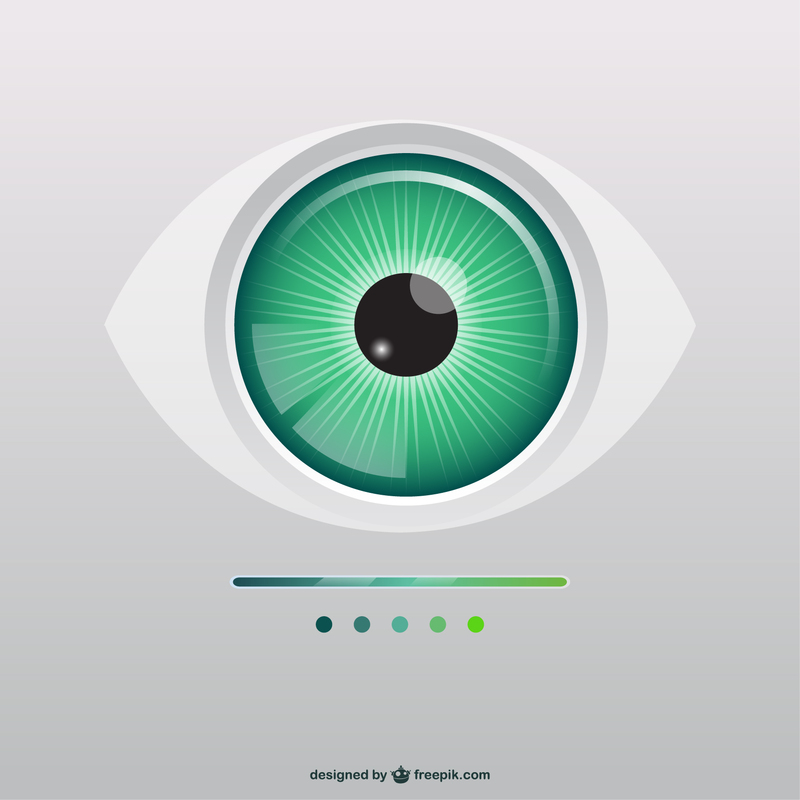 As an object moves toward the eye, the eye must increase its optical power to keep the image in focus on the retina. If the power of the cornea and lens is insufficient, as in hyperopia, the image will appear blurred. Hyperopia is often confused with presbyopia, another condition that frequently causes blurry near vision. Presbyopes who report good far vision typically experience blurry near vision because of a reduced accommodative amplitude brought about by natural aging changes with the crystalline lens. It is also sometimes referred to as farsightedness, since in otherwise normally-sighted persons it makes it more difficult to focus on near objects than on far objects. The causes of hyperopia are typically genetic and involve an eye that is too short or a cornea that is too flat, so that images focus at a point behind the retina. People with hyperopia can usually see distant objects well, but have trouble focusing on nearby objects. 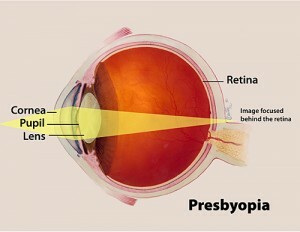 Presbyopia is a condition where the eye exhibits a progressively diminished ability to focus on near objects with age. 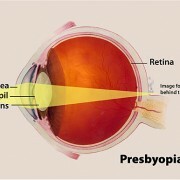 Presbyopia’s exact mechanisms are not known with certainty; the research evidence most strongly supports a loss of elasticity of the crystalline lens, although changes in the lens’s curvature from continual growth and loss of power of the ciliary muscles (the muscles that bend and straighten the lens) have also been postulated as its cause. Like gray hair and wrinkles, presbyopia is a symptom caused by the natural course of aging. 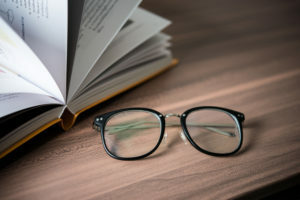 The first signs of presbyopia–eyestrain, difficulty seeing in dim light, problems focusing on small objects and/or fine print–are usually first noticed between the ages of 40-50. The ability to focus on near objects declines throughout life. In optics, the closest point at which an object can be brought into focus by the eye is called the eye’s near point. A standard near point distance of 25 cm is typically assumed in the design of optical instruments, and in characterizing optical devices such as magnifying glasses. Without correction, the near point is at 3 inches (7 cm) at age 10, to 6 inches (16 mm) at age 40, to 39 inches (1 meter) at age 60. As a result, a 60-year-old must use corrective lenses to read at a comfortable distance of 60 inches. Eyeglass lenses are able to correct vision because they bend light as it passes through the lens. The amount of light-bending (or refraction) that’s needed to provide good vision is determined by the eyeglass prescription provided by your eye doctor. For weaker eyes, the number in the prescription is higher, and the lenses must bend the light more to provide clear vision. Prescriptions for nearsighted people begin with a minus symbol (-). If your prescription is -5.00 diopters, for example, you are very nearsighted and need a stronger lens than someone with a -2.00 prescription. 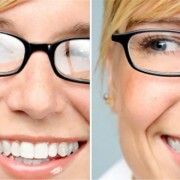 To bend light more, stronger minus lenses require thicker edges than weaker minus lenses. It’s not unusual for a nearsighted prescription to worsen over time, which means the edges of your lenses will grow increasingly thicker with each prescription change. Fortunately, chemists have created a variety of new plastic lens materials such as 1.60-1.71 and higher these thinner lenses bend light more efficiently than the conventional plastic lenses used for eyeglasses. This means less material can be used in high-index lenses to correct the same amount of nearsightedness. Anti-reflective coating (also called AR coating or anti-glare coating) improves both your vision through your lenses and the appearance of your glasses.AR coatings are similar to the coatings found on microscopes and camera lenses. 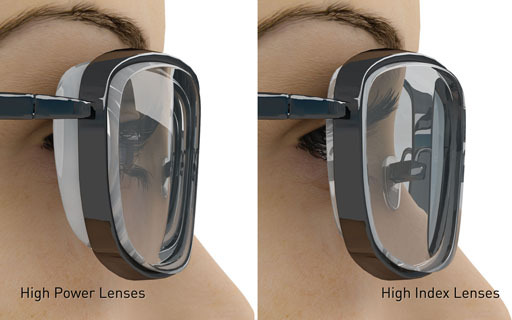 They consist of several layers of metal oxides applied to the front and back lens surfaces. Because of the layering effect, AR coatings sometimes have a hint of green or purple color, depending on the individual manufacturer’s formula.Each layer is calculated to block reflected light. The result is that you’ll see a reduction in glare, annoying reflections and halos around lights. This is a great safety benefit when you’re driving at night. Anti-reflective coating benefits virtually everyone who wears eyeglasses. Also, research shows wearing AR coated lenses improves night driving vision and increases comfort during prolonged computer use (compared with wearing uncoated lenses). Macular degeneration (or age-related macular degeneration, abbreviated AMD) is the leading cause of vision loss in the Western world. The disease affects the retina, the light-sensitive layer of tissue at the back of the eye. This layer has photo-receptors that are stimulated by light and send signals to your brain, thereby generating vision. 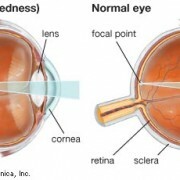 Specifically, AMD affects the central part of the retina called the macula and this is the portion of your eye that is used when engaging in visual activities that require the finest acuities, such as reading and driving. 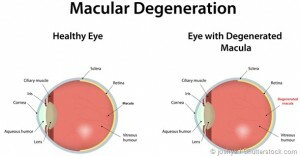 Macular degeneration occurs in either a dry (atrophic) or wet (exudative) form. In either case, the disease only affects the central vision, typically near the macula, and rarely causes total vision loss. 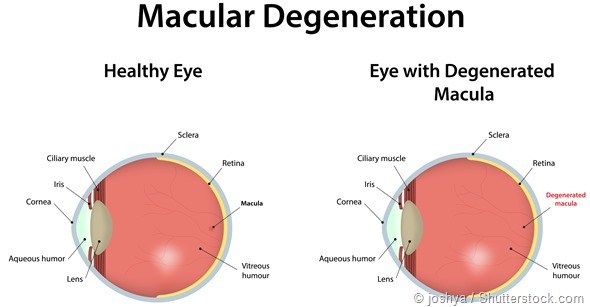 The majority of patients (over 80% of AMD cases) have the dry or atrophic type of macular degeneration. In this form of the disease, the slow deterioration of the retina is coincidental with the formation of small yellow deposits, known as drusen, in the macular region. This accumulation of drusen leads to a thinning of the macular tissues, causing distortions in vision that initially appear as wavelike. The eventual amount of central vision loss is directly related to the location and amount of retinal thinning caused by the drusen. The exudative, or wet form of the disease, is far less common (about 20% of AMD cases), but it is more aggressive and threatening to one’s vision. In the wet type of macular degeneration, abnormal blood vessels grow under the retina and macula through a process called neovascularization. These new blood vessels may bleed and leak fluid, thereby causing the macula to bulge or lift up, distorting or destroying central vision. In these circumstances, vision loss may be rapid and severe. Although much research is being done on finding treatments for macular degeneration, no current treatment exists for the more common dry form, and the treatment for the wet form sometimes does not meet patients expectations. So, for many AMD patients, the use of low vision aids for macular degeneration is of great help and allows them to enhance their quality of life and remain independent. Age. This disease is most common in people over 65. Race. Macular degeneration is more common in whites than it is in other people. Obesity. Research indicates that being obese may increase your chance that early or intermediate macular degeneration will progress to the more severe form of the disease. Optical low-vision devices. Optical low-vision devices use lenses to magnify objects, making them easier to see. The lens strength will depend on your vision and the size of the object or print to be seen. Magnifying spectacles. Which are stronger than ordinary glasses. They can be used for near tasks, such as reading, threading a needle, or any activity that requires detailed vision. The printed page or object must be held closer than usual in order to keep things in focus. One advantage of magnifying spectacles is that your hands remain free to hold reading materials or perform tasks. Hand magnifiers. Familiar to most people and are available in varying strengths. Reading material is not necessarily held as close to the face as with magnifying spectacles, and some models come with a built-in light. High-quality and high-powered magnifiers are often available only in specialized stores or through vision rehabilitation professionals. Stand magnifiers. Rest directly on the reading material, keeping the lens at the proper distance from the page. The ability to rest the magnifier on the page is useful for patients with a tremor or arthritis. Telescopes. Used for seeing objects or reading signs that are far away. They can be handheld like a pair of regular binoculars or mounted on a pair of eyeglasses. Video magnifiers. Electronic devices that use a camera and television screen to enlarge printed material, pictures, or small objects. They are adjustable and can enhance the material in different ways — for example, by making the print appear darker (increased contrast). The technology is developing rapidly, and electronic devices are becoming smaller, more portable and easier to use. Some can even be used for both distance and near tasks. Good lighting and glare control are very important for people with low vision. A bright light should always be used when reading and its location should be adjusted for the greatest visibility without glare. Stronger light bulbs in darkly lit areas can make tasks like cooking, dressing, and walking up and down stairs easier. Wearing a hat with a wide brim or tinted wraparound sunglasses can shield your eyes from dazzling and annoying overhead lights or sunlight. A Low Vision Rehabilitation Specialist is an optometrist or ophthalmologist who has been trained in Low Vision Rehabilitation. There are other professionals who specialize in specific aspects of low vision rehabilitation such as occupational therapists, orientation and mobility instructors. 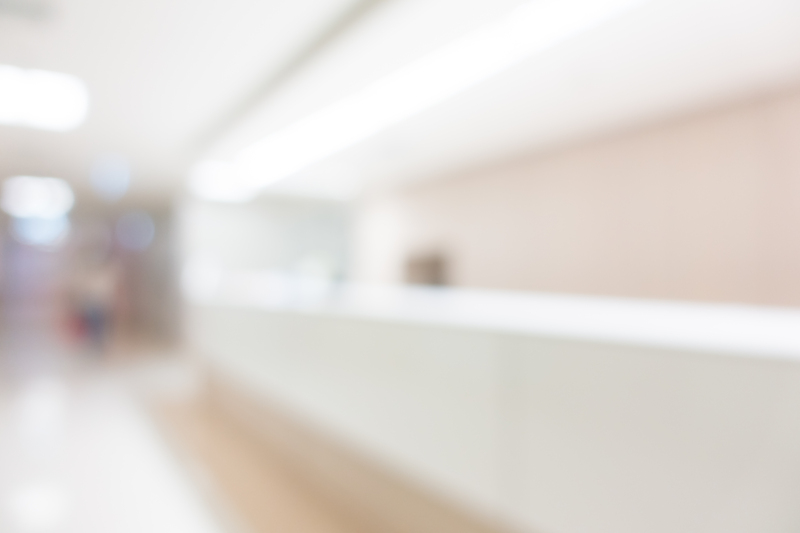 Low Vision Rehabilitation is available in most major medical centers and, in some cases, in private practices. Ask your retina specialist or eye doctor about referring you to a low vision specialist. See a Optometrist if you notice change in your central vision or your ability to see colors and fine detail becomes impaired. 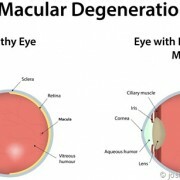 These changes may be the first indication of macular degeneration, particularly if you’re over age 50.